Here is another batch of health secrets from homeopathic medicine. Here we look at the uncomfortable, painful situation we know as boils. Here are the best six homeopathic remedies to soothe this condition. Boils are caused by a bacterial infection in your hair follicles. As they fill with pus, they get increasingly painful. They are more common in those with a weakened immune system. They might go away in a few days, or last for two weeks. Whatever you do, don’t let your irritation get the best of you and start squeezing the boil. Instead, turn to homeopathy for a safe healing process. 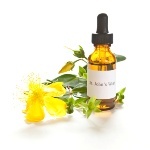 This one, distilled from the herbal remedy St. John’s wort, is a great topical choice for boils that are hard, quite red, painful, and under an inch in size. The pain is very noticeable, and may include sharp shooting sensations. Your boil may not leak any pus, another symptom to watch for. Try soaking some gauze with a lotion made from the tincture. Replace this compress every four or six hours as needed. This will help the external pains and discomfort from boils. This remedy is effective for boils that are red around their edges, big and sore. There will likely be swelling in the area. The boils will be very painful to the touch and will last quite a while. This remedy is good for those that develop out of a scrape or cut. Take this one in pill form. Belladonna is best used in the first day or two when a boil appears. It is most effective when administered before the pus builds up and the boil swells. If your boil is very red and throbbing with pain, this could be your answer. You may feel flushed and hot, and your boil is very sensitive to the touch. This remedy is useful for boils that are very slow to heal, even after the pus breaks free. The symptoms and situation are much like those of “Hepar Sulphuris.” As a side note, “Silica” can help the skin get rid of splinters or small bits of glass that may be imbedded in the skin as a result of an accident/injury. The anti-inflammatory and healing powers of this perennial flower have been used as a remedy wherever the plant was grown. Make sure to take this as an internal remedy, as it should not be applied directly to the boil. Arnica in not safe for use on broken skin (cuts, scrapes, wounds, boils). This is a great internal treatment for small and recurrent boils. Sulphur, as in the element itself, can help with boils that burn and sting along with redness in your eyelids. That would be boils right near the eye. It can help with other spots as well, particularly new boils that come to replace those that have healed already. Your skin is rough looking and boils heal slowly. They are hot and red.